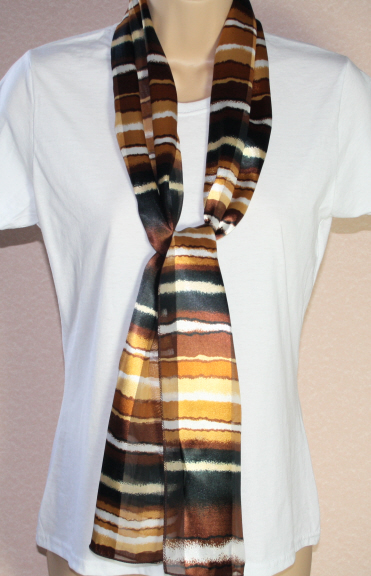 Brown Zig Zag Ladies Scarf. Light brown scarf with zig zag design and pale brown line panels. Long straight scarf.